ICE cotton futures were two-sided Tuesday on an estimated volume of 26,000 contracts. In something of a contrarian attitude, it was interesting to see the day after the market was banged 300-plus points lower, follow-through selling was lacking. 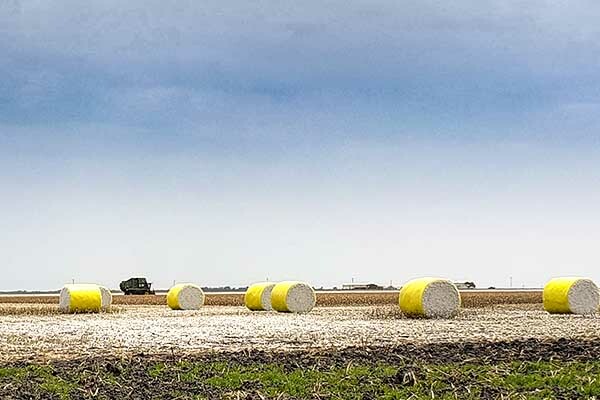 What might have staved off additional selling is the fact the cotton market is technically oversold and the Turkish Lira did have a rebound Tuesday on the global currency exchange. Also, it was technically encouraging the July low of 8010 remains intact. Fundamentally, some Traders are beginning to think the sharp decline in cotton might encourage additional foreign sales. Thursday’s weekly sales and exports could prove evidence for such belief. A piece in a famed New York newspaper suggested the Chinese are beginning to strain under the U.S. tariffs. The article highlighted the fact there may be substantial layoffs in Chinese factories, suggesting authorities were worried about the potential of civil unrest. If China and the U.S. were to solve their trade differences, it would be quite a boon to cotton prices. December cotton settled at 8304, up 28, March 19 was 8314, down 6, and December 19 closed at 7804, down 11.